Meet with the area&apos;s most affordable Bankruptcy Lawyer with 35 years of experience! At Scheinbaum & West, LLC, we are dedicated exclusively to helping individuals and families who are going through financial difficulties. Many good people get laid off from work, suffer a disability, or encounter other hardships that cause them to fall behind on their financial obligations. There are times when being in a financial hole can put undue stress on you and everyone around you. When your payments are too much for you to manage, and you are having difficulty catching up, bankruptcy may be the best option. Also known as a "straight" or "liquidation" bankruptcy, Chapter 7 allows filers to eliminate most unsecured debts. Debts that can be discharged through Chapter 7 include credit cards, payday loans, unsecured personal loans, medical debt, etc. Chapter 13 is a court-approved debt consolidation plan that allows you to consolidate your debts into one lower, more manageable monthly payment. Payment plans can range from three to five years, and you can often pay back less than 100% of what is owed. One of the greatest benefits of filing either Chapter 7 or Chapter 13 bankruptcy is the ability to finally stop those harassing phone calls, letters, and most wage assignments and civil lawsuits. As soon as you file for bankruptcy, an automatic stay goes into effect, ordering creditors to immediately cease debt collection activities. This puts an end to creditor harassment. Filing for bankruptcy is a major step, and many people are apprehensive about it. This is understandable, but the truth is, there is nothing to fear from the bankruptcy process. The purpose of bankruptcy is to eliminate or consolidate debt, so at the end of the process, you will have fewer outstanding creditors. In addition, bankruptcy gives you a fresh start, allowing you to rebuild your credit by showing lenders that you are now creditworthy. We work closely with our clients to advise them on steps they can take to re-establish good credit. 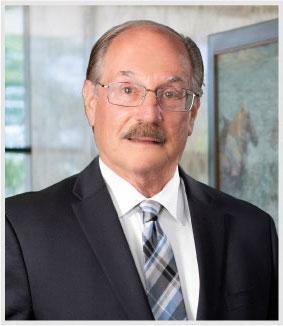 Marc Scheinbaum is a seasoned bankruptcy attorney with nearly four decades of experience in this area of the law. Attorney Scheinbaum is honest, straightforward, and down-to-earth, and he represents his clients with great care. Marc practices bankruptcy law exclusively, and he understands the complexities of the Federal Bankruptcy Code. His clients appreciate his skilled advocacy and personalized approach. Attorney Scheinbaum represents clients in Will County, LaSalle County, and nearby Illinois communities. He provides free consultations and he has weekend hours for your convenience.